There’s nothing remarkable about the Honeywell QuietAir 17000-S, but the device doesn’t have any major flaws either. With a CADR of 130, this isn’t the most powerful purifier you’ll see. For less than $100, that’s exactly what you should expect. It’s a device best suited for small and medium bedrooms, but not any space much larger. 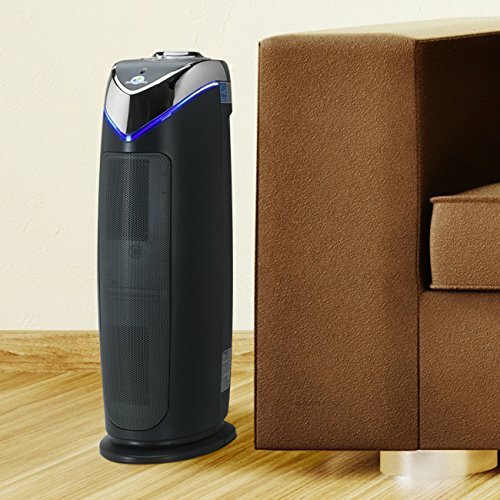 The manufacturer says the area coverage of the device is 168 square feet; TrueBreeze thinks the device can be used effectively in rooms up to 225 square feet, but anything past that and you may want to invest in a different purifier. The QuietAir utilized HEPA filters, so the unit deals well with even the smallest particulates and allergens. But it also has a charcoal pre-filter to deal with odors and other stuff like pet hair. The pre-filter is very effective in small rooms, and the HEPA is as reliable as ever. Design-wise, this device is fairly old-fashioned and simple – white and clunky, but small and portable. It has a nifty handle on the top for easy carrying, and at 11 pounds this purifier is pretty light. This purifier won’t kill your electric bill, but it’s not especially energy efficient. At its lowest setting, expect the 17000-S to draw about 50 W of power. It can draw up to 170W on its highest setting – not an unreasonable rate of energy usage, but the costs will add up if you run the device often. As far as maintenance, the device is fairly simple. You’ll have to clean the pre-filter every few weeks or months, depending on how often you run the purifier. Likewise, you’ll be best served replacing the HEPA filter every year or so. 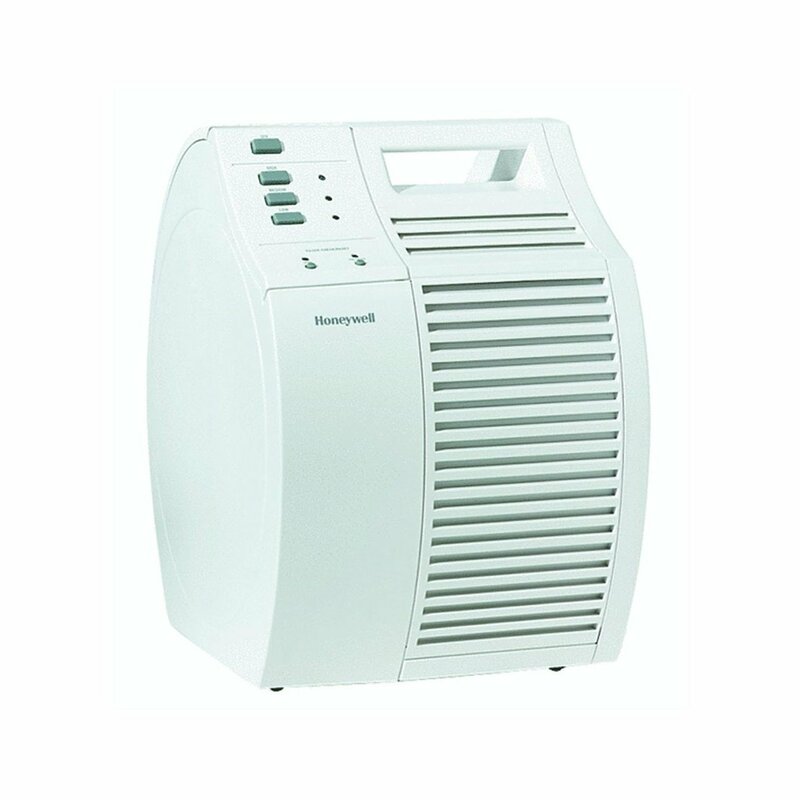 The Honeywell HFD-120-Q is a great air purifier for small and medium-sized rooms; it delivers strong performance for the price, you won’t spend a penny on long-term maintenance/filter replacement and it boasts strong energy efficiency. The HFD-120-Q has an optimal coverage area of between 170 – 190 square feet, so the unit is designed specifically for small or medium-sized rooms. If you’re placing this unit in a small-ish bedroom or dining room, you can expect the device to work very quickly, efficiently and quietly. And the device works quickly in medium-sized rooms as well, circulating air up to 5 times per hour in rooms up to 170 square feet. 2) a permanent IFD filter that captures smaller particles like pet dander, pollen, smoke, etc. The HFD-120-Q is Energy Star® certified and draws about 43 watts. Generally, the device is very energy efficient given its performance in small spaces. The device becomes less efficient as its abilities are stretched (say, if you use it in a 400 square foot room). But overall, this is the type of air purifier you can run all day without worry about crazy spikes in your electric bill. It’s a very quiet device, as well. It has to be, considering it’s designed largely for bedrooms. At its lowest setting, the device is “whisper quiet” – you can barely hear anything. You will certainly be able to sleep with this device running in your room at night. 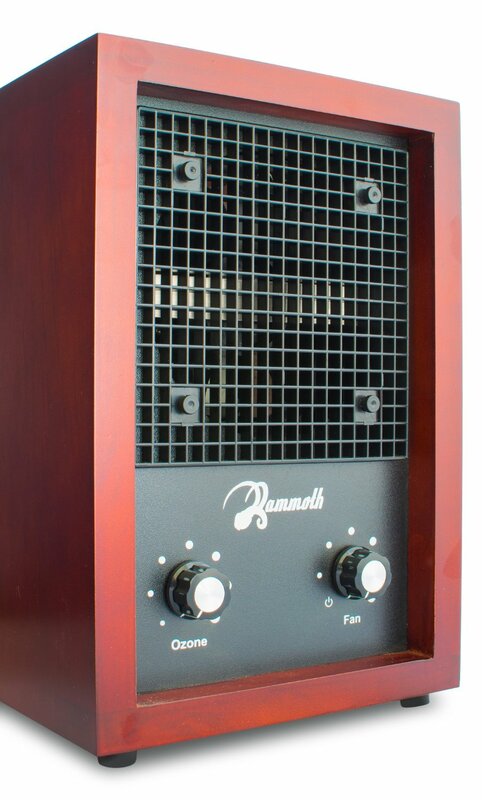 The Mammoth Classic is equipped with a HEPA filter, a carbon filter and an ionizer, plus a pre-filter. 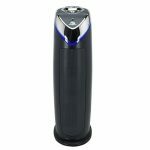 As far as particulates are concerned, this device is pretty well rounded: it can handle allergies, odors and dust with pretty equal proficiency. This unit is an exceptionally beautiful device. It has a cherry wood exterior with a very artisanal flavor: these units are hand-made and they feel like it. 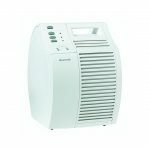 The GermGuardian AC4825, at one point in 2015, was the best-selling HEPA air purifier on Amazon. It’s easy to see why: the device is inexpensive, exceptionally quiet and provides strong value at its price point – which for many people, will be enough. The device tackles all kinds of odors with great efficiency, and effectively neutralizes dust, mold and allergens in small spaces. This unit is on the smaller side, so it’s not a surprise that it works pretty slowly and isn’t a behemoth when it comes to power or efficiency (CADR rating of 100-125). But it works pretty well, and that’s the bigger takeaway. The AC4825 handles smells and odors with great efficiency – smoke, kitchen smells, you name it.